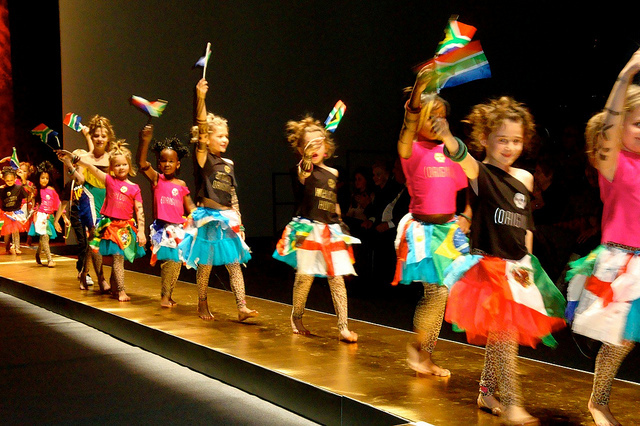 Each year, cities all over the world play host to several children's fashion fairs. Like grown up fashion fairs, these events are put on to show the world the latest lines for babies and children. They often have an amazing mix of clothing, footwear and accessories for the coming seasons. These are normally open to retailers only, but sometimes the general public can enjoy these shows too. If you fancy getting a sneak peak of the latest styles and trends then here are some of the world's best children's fairs that feature some of the biggest names in kids fashion. FIMI is the International Fair of Children's and Young People's fashion, playing host to a number of brands and organisations. The fair isn't just centred around childrenswear, it also provides information and resources for many areas of healthcare. This includes healthcare support for women and children, with extra parental resources. This is a show that greatly encourages the general public to attend to see the latest fashion and to expore new brands. The Children's World event in Bulgaria is designed to be a hub of trade for designers, wholesalers and retailers of children's clothing. The event itself also has more variety than just fashion, taking in a whole host of other areas such as furniture, toys, consumables like food and drink and cosmetics. Situated in the picturesque Parc Floral de Paris, Playtime Paris is a trade fair that really pulls out the stops as a well presented and spectatcular show. It is designed to encapsulate most elements involving a child's, and his or her family's, life. There are a huge number of fun activities for the kids to try, as well as many trade stands for clothes, shoes, toys, books, parental resources and much more. Perhaps the biggest event in the children's calendar, but is actually one of the newest, as the first was held in March this year. However, while it's big in profile, certainly media-wise, it doesn't have the same number of brands that other shows have. It's more about the spectacle of the event, as it has been held in direct accordance with the London Fashion Week, and is likely to move from fashion city to fashion city. This huge childrenswear event is a massive show for kid's brands that come from far and wide to trade and network with retailers and other customers. ENK is a well known fashion show for labels that are based both stateside and internationally. It's a great idea to get to a childrenswear trade show in your country if you can, it gives you some interesting ideas for children's trends, and gives you an idea of labels such as Bobo Choses and Mayoral clothing, to brand new brands such as Tootsa McGinty. They're a real eyeo pener, and will give you a good idea of what's out there. Peter Shorney is a keen blogger and frequent traveller with a strong interest in the world of fashion.